Students Can’t Multitask. Or Can They? uploaded to sketchnotearmy.com last Monday. I found myself completely confused, mouth agape, as I stood in line at McMaster’s Wellness Centre this week. I was looking at one ad of what I now know is a series produced by the Alberta government. The ad reads: “Crotches Kill.” I stood there at the Wellness Centre, eyes darting from the bold letters (can we call it a slogan? ), to the image of the lady looking really happy about (with?) her crotch; then my eyes dropped a bit, taking in the assortment of free condoms placed just below and to the left of the ad, and then they darted right back to “CROTCHES KILL.” WTF, right? W. T. F.
Okay, so eventually I figured it out. 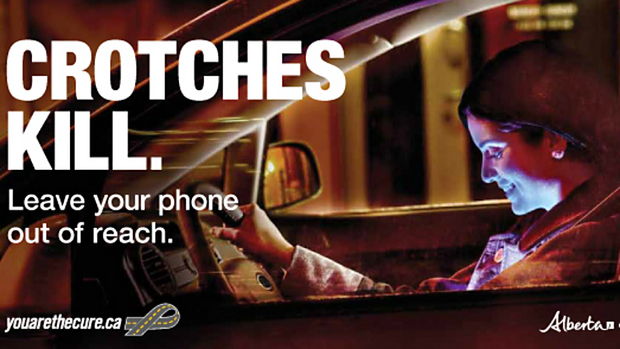 Texting can be a fatal distraction when you’re DRIVING! (I was worried for a minute there, that it might be catching, or something. But no (phew! ), texting is not an STI!). A great post from blogger Maryellen Weimer compels us to ask, however: Can texting be a fatal distraction from LEARNING? Considering some potentially fruitful connections between the gym (gah!) and large classrooms. Don’t Make Me Listen to This, Please. 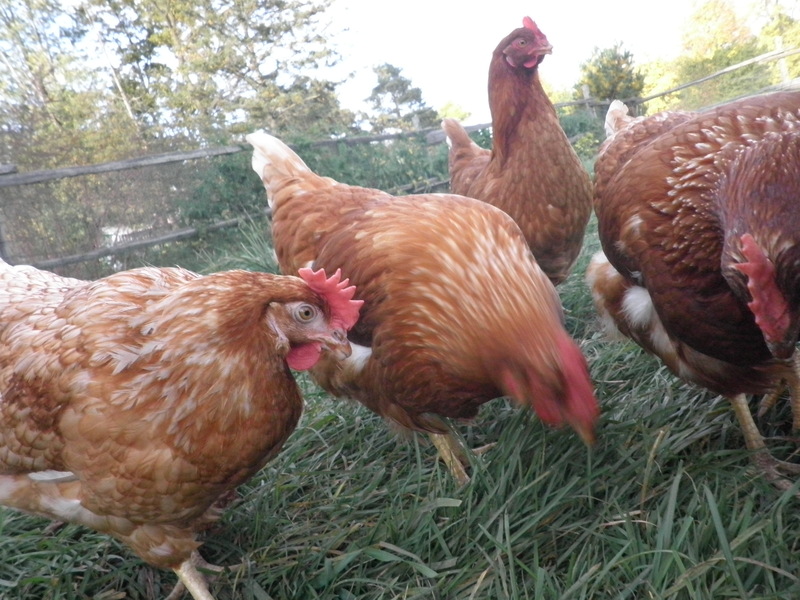 By way of a consideration of chickens, chicken tractors and YouTube, this first post of 2013 considers how instructors are tackling ever-growing class sizes in their lecture halls. Trust me, these things make sense together. This Thursday, I’ll be giving a guest lecture on Thomas King’s Dead Dog Cafe (also available on YouTube). 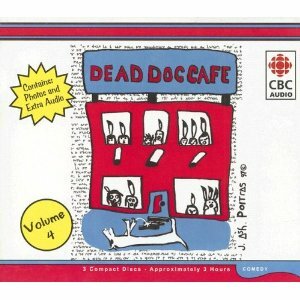 Dead Dog Cafe is a radio drama of sorts, or a radio comedy, I should say. 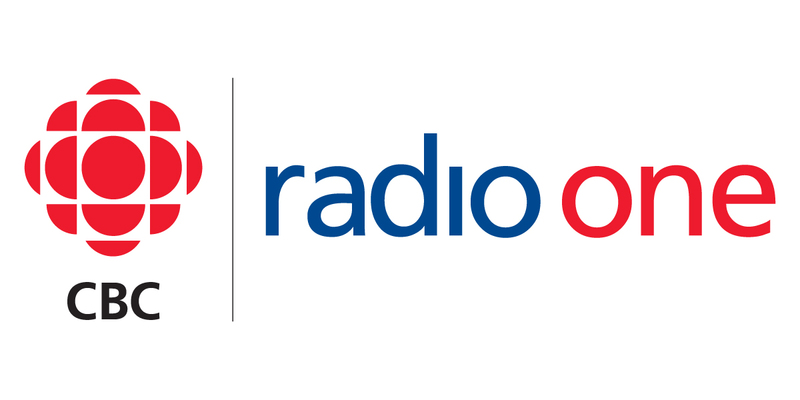 To be precise, it’s a radio show about a radio show; in a way, it’s a CBC Radio One version of 30 Rock, with a few exceptions: it precedes the American network show by half a decade, it explicitly engages with First Nations culture and politics in Canada, and, of course, it’s about a radio comedy hour, rather than a t.v. sketch show. You could say Dead Dog Cafe is about First Nations issues; you could also say it’s about humour, and you would be right in both assertions. But I think it’s also trying to get at what listening is all about– and how the experience of listening to oral narratives and oral literatures differs from that of reading written literatures. So that’s Thursday: lecturing about listening. Ha. On Tuesday, though, I’ll be handing in a short written assignment that marks the culmination of a three-week project for the Education 750 class I’m taking here at Mac through the Centre for Leadership & Learning. I and a group of other students are supposed to submit a “reflection” on a research topic we’ve developed ourselves. Our chosen research topic is lecturing; specifically we’ve been interested in learning more about introducing active learning to the lecture hall. It just dawned on me today how intimately-related these two projects are–lecturing about listening, and writing about lecturing–and not simply because they both tackle lecturing in one way or another. These two projects are fundamentally connected, in my mind, because ultimately, they are both about listening. To prepare for a lecture about a radio show one should not think about how to lecture effectively, or how to tell one’s students what they need to know about the topic. Instead, a lecturer needs to think about how people listen, and how to listen well; about how to be receptive, and how to be received; and, finally, about how to invite reception. Listening always involves a two-way interplay; lecturing, on the other hand, might be uni-directional; it can be solitary, lonely, and, ultimately rather self-centred. So introducing active learning to the lecture hall means thinking about how you can get learners to not only listen, but to respond. How can a lecturer get her learners in on the conversation? 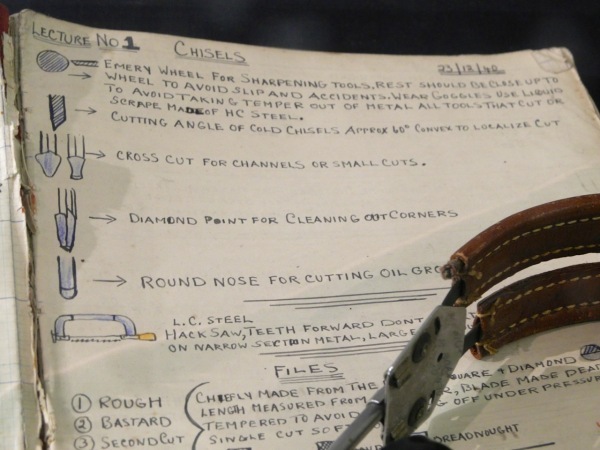 How can a lecturer open up a dialogue with her learners? How can a lecturer listen? Pretty straight-forward, right? Just walk into a classroom, do A, B, and C, and BAM! you’ve got yourself some active learning. With some trial and error, you may even find yourself facilitating active learning in a classroom with some success. But thinking about Tom King’s radio show has got me thinking about the problem of lecturing–of talking, and of listening–from a wholly different perspective. The research surrounding active learning in lectures is, not surprisingly, rather “scientific” in nature. Conducted by scientists and social scientists, the research necessarily betrays or displays a scientific approach to learning. It sets up trials, believes firmly in the measurability of results, and carefully breaks down active learning into mechanistic parts, where A causes B, which, in turn, results in C, of course! It’s all very logical, you see. Listening to Dead Dog Cafe, however, has not at all been a logical endeavour. Not only does King’s comedy persistently overturn “logic” to highly humourous ends, it is also a highly sensational experience, by which I mean that I found myself highly aware of my senses as I listened to his show. I found myself chuckling along whilst stitching the binding to a quilt, and straining to hear Jasper Friendly-Bear over the sound of the hot water running as I washed a sink full of dirty dishes. It was a positively strange experience. I felt immersed in the sounds of the Cafe, sounds which somehow produced a sense of light, scent, and touch, all while I was simultaneously very much immersed in the physical world around me, in the smell of the dish soap, and the feel of the warm water running over my hands, and the sight of the bright early-spring sunshine streaming through the kitchen window. What a positively strange, and yet, too, positively pleasurable experience listening to talk radio, or narrative radio, can be. Feeling like I was in two places at once, and yet not fully in either, got me thinking: there is something the literature on lecturing and active learning is overlooking. It is overlooking what types of listening a speaker can provoke. It neglects to recognize that listening involves multiple modalities. Really, it fails to engage with the fact that there are many different ways to listen, and, as a result, the literature on active learning in the lecture hall cannot see that different modes of listening have the potential to invoke wildly different responses. As I sit down to formalize my lecture for the upcoming week, I’ll give you a sense of where I’m going with this: there is captive listening, where a listener cannot leave, and must listen; there is what might be termed “redemptive” listening, where a listener seeks the deeply private, the confession; there is passive listening, to be sure, and there is dialogic listening, where a listener is expected to respond, to answer; there is listening that is interpellative, listening that calls or hails you, and thereby in part forms how you might or can respond and even who or what you are in that moment; there is, too, listening where no one is addressing you, where you are not even recognized as the audience– this, of course, is eavesdropping. I want to consider what forms of listening occur in a lecture. What happens in a lecture? Are learners addressed directly, or do they eavesdrop, in a way, on a scholarly conversation with which they are neither entirely familiar nor comfortable? I also wonder how a lecturer might actively and purposely facilitate these different modes of listening in her classroom. Can we turn passive listeners into sly observers, eavesdropping on a secretive, unfamiliar or half-heard conversation; can we call on them to be non-judgmental receptors of heated confessions; can we transform them into critics and judges, or, perhaps, detectives and analysts? In the Humanities, we seek critical thinking. In English, we specifically look for critical reading. But what about critical listening? And, perhaps more importantly, what about empathetic listening, non-judgmental listening, or imaginative listening? with a piece of sewing, or some soapy dishes. This Thursday, I hope to explore how different forms of listening function in King’s radio show, and I’m particularly interested in Krista Ratcliffe’s thoughts on the subject in “Eavesdropping as Rhetorical Tactic: History, Whiteness, and Rhetoric.” Ratcliffe describes eavesdropping as that which situates a listener “outside, in an uncomfortable spot, on the border of knowing and not knowing, [thereby] granting others the inside position, listening to learn” (90). Was this the effect King was looking for, when he invites his listeners into the Dead Dog Cafe to eavesdrop on conversations, asides, and banter that do not officially comprise the show itself? I think so–when listening to Dead Dog Cafe, I was both inside and outside the fictional cafe of the show’s title; I was granted the insider’s position, and yet I most certainly was an outsider, vaguely and sometimes pointedly uncomfortable as I overheard conversations that I could not fully understand. Again, what a strange, and yet wonderful, experience. Biggs, J. “Constructing Learning by Aligning Teaching: Constructive Alignment.” Teaching for Quality Learning at University: What the Student Does. First Ed. 2007. Print. —. “What the Student Does: Teaching for Enhanced Learning.” Higher Education Research & Development 18.1 (1999): 57-75. Online. Bleske-Rechek, April L. “Obedience, Conformity, and Social Roles: Active Learning in a Large Introductory Psychology Class.” Teaching of Psychology 28 (2001): 260. Online. Huerta, Juan Carlos. “Getting Active in the Large Lecture.” Journal of Political Science Education 3 (2007): 237-249. Online. Michael, Joel. “Where’s the Evidence that Active Learning Works?” Advances in Physiology Education 30 (2006): 159-167. Online. Smith, Veronica C. and LeeAnn Cardaciotto. “Is Active Learning like Broccoli? Student Perceptions of Active Learning in Large Lecture Classes.” Journal of the Scholarship of Teaching and Learning 11.1 (January 2011): 53-61. Online. Stead,D.R. “A Review of the One-Minute Paper” Active Learning in Higher Education 6 (2005): 118-131. Online.